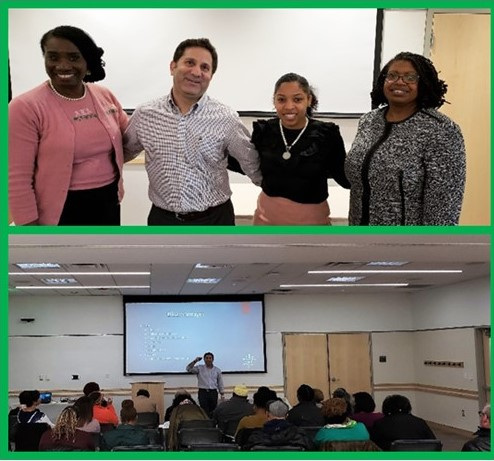 Loudoun County, VA, Psi Rho Omega Chapter hosted a free Estate and Tax Planning workshop to help sorors and community residents improve their economic legacy. Attorney Sam Mansour from Legacy Law Centers covered the basics of estate planning and important documents such as Advanced Medical Directive, Power of Attorney, creating a Trust and the “dos and don’ts” of a Last Will and Testament. The tax planning portion of the workshop featured a presentation by CPA, CFA Daphne Wright who addressed the major tax law changes under the Tax Cuts and Job Act of 2017. Comments and feedback from more than 40 participants proved the workshop to be an educational and informative event.